Looking for something to do this weekend? Beginning tomorrow, Friday, March 25th through Sunday, March 27th, Brilliant Events will be hosting the Home Improvement & Landscaping Expo at the DuPage County Fairgrounds in Wheaton. This event will feature hundreds of home improvement and landscaping related exhibits from area companies and contractors. This DuPage event will be both informative and fun for area homeowners. In addition to the exhibits, there will be live entertainment, good food, activities, and give-aways. Bring the kids along too! There will be balloons, popcorn, and more fun to keep your kid’s attention. Exhibits and professionals will be available for the following home improvement areas: kitchen, bathroom, flooring, windows and doors, fish ponds, gutters, heating and cooling, landscape and garden, waterfalls, decks, patios, pools, hot tubs, interior design, home theater, and much more! The Home Improvement and Landscaping Expo takes place at the Dupage County Fairgrounds at 2015 W. Manchester Rd. in Wheaton. The fairgrounds are located on the north side of Manchester, a half-mile east of County Farm Rd. Sunday, March 27th – 10AM- 5PM. Both admission and parking are free. This is an indoor event. 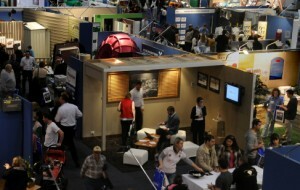 Click here to see the list of companies participating in the home show.